Combining data flows from up to 2 network-enabled devices onto a single twisted pair or coax cable, the CopperLink Model CL1212 can deliver IP traffic up to 1.8 miles (3 km) away—well beyond the standard 328-foot (100-meter) Ethernet distance limitation. 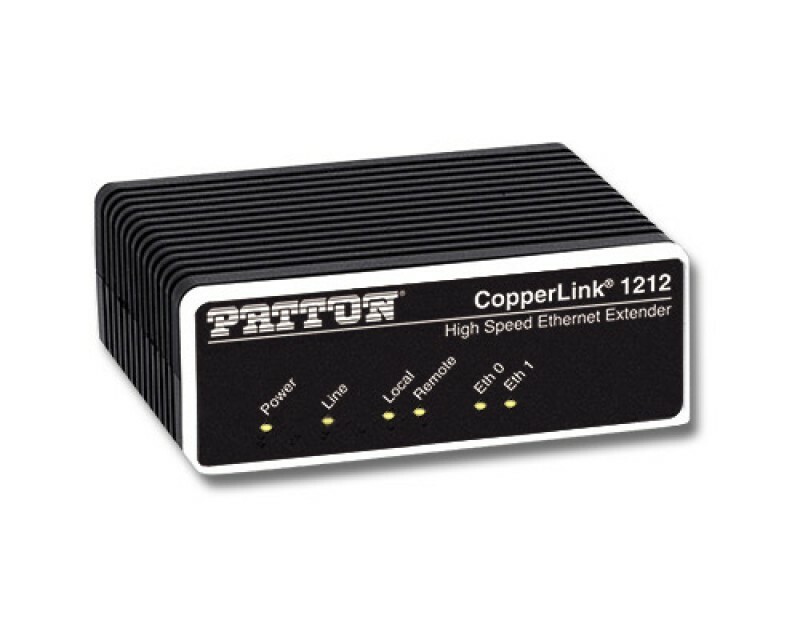 With achievable line rates up to 168 Mbps, the CL1212 eliminates the bandwidth constraints commonly experienced with other copper-based transmission technologies. The Model 1212 is engineered to re-use existing infrastructure previously employed in such legacy applications as alarm circuits, E1/T1 circuits, RS-232, RS-422, RS-485, CCTV and CATV. Many newer cabling standards are also supported, including Cat 5e, Cat 6 and Cat 7. A built-in two-port Ethernet switch makes the CopperLink CL1212 ideal for delivering multiple IP information streams over a single cable. At a guardhouse or security kiosk for example, you could aggregate IP data from a laptop and a high-resolution IP video camera for simultaneous transmission over a single Ethernet connection. 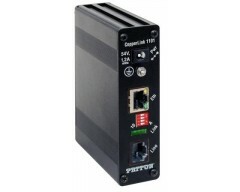 A single-port version, the CopperLink Model CL1211 (available by special order) is ideal for applications requiring the enhanced security of a single Ethernet port.